This week’s SATURDAY SIX takes a look at Six Reasons We Love Universal’s DIAGON ALLEY. 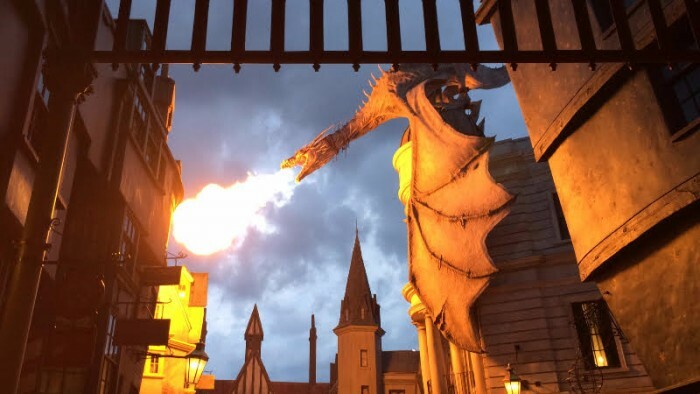 Who can believe it was just one year ago that Diagon Alley opened at Universal Studios Florida and changed the way we looked at immersive lands inside a theme park forever? When Hogsmeade Village opened in Islands of Adventure in 2010, it immediately became a gold standard and had industry-changing effects on themed merchandise as well as food and beverage. You can make a case that Butterbeer alone changed the entire future of the Universal parks by becoming such a phenomenon that it helped the $250 Million area pay for itself within six months. 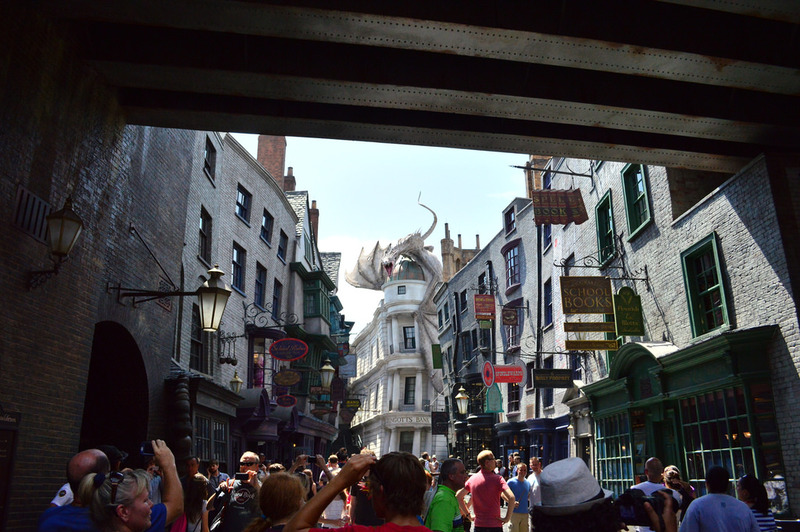 That immediate and unqualified success led to a fast tracking of many things, including Diagon Alley. But could Universal Creative top Hogsmeade Village, with the iconic Hogwarts Castle facade for Forbidden Journey, interactive show stopper Ollivanders, and wonderfully detailed areas like the Hog’s Head pub? SPOILER ALERT: Yes. Yes, they did. 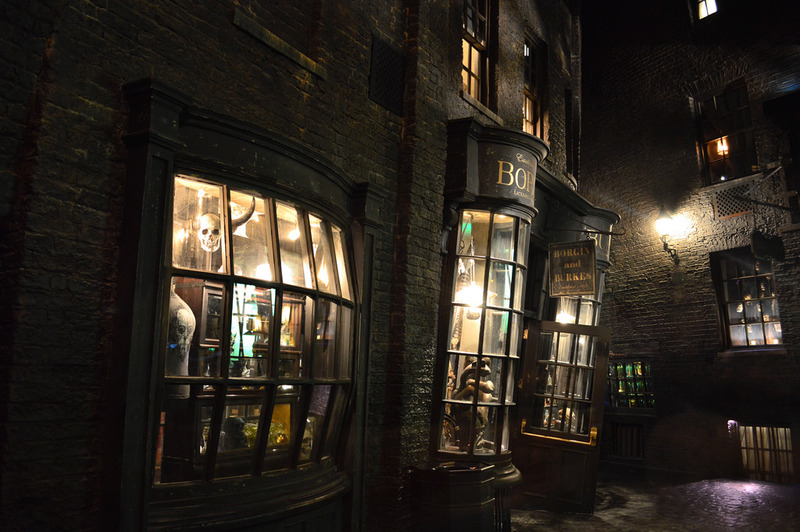 Today we are going to look six of the many reasons we love Diagon Alley and to narrow down our list we consulted with an expert in Muggle Studies, Megan Stump. You may remember Meg from last year’s #PotterWatch, where she was on hand for 30 straight days leading up to the grand opening. So grab your favorite Pygmy Puff (or Horcrux, if you’re Voldemort) and settle in for the countdown, starting with…. 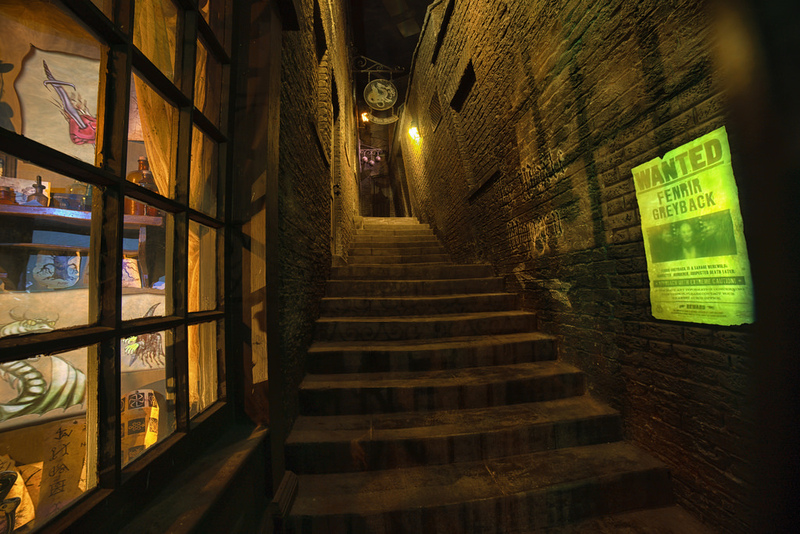 One of the most unforgettable moments of Harry Potter and the Sorcerer’s Stone was Harry’s entrance into Diagon Alley. It was his introduction to the wizarding world, but was also ours. It was something both real and fantastical at the same time. 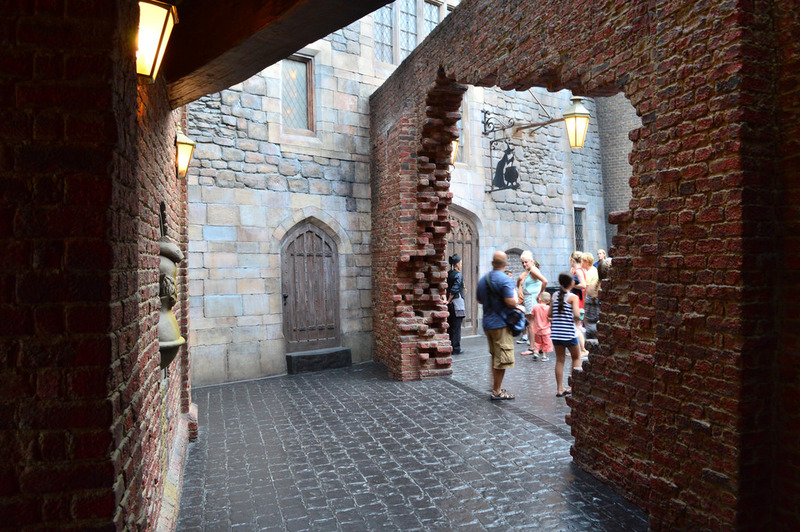 Harry entered Diagon Alley through a magical brick wall, which revealed an entrance after an elaborate shifting of the bricks. 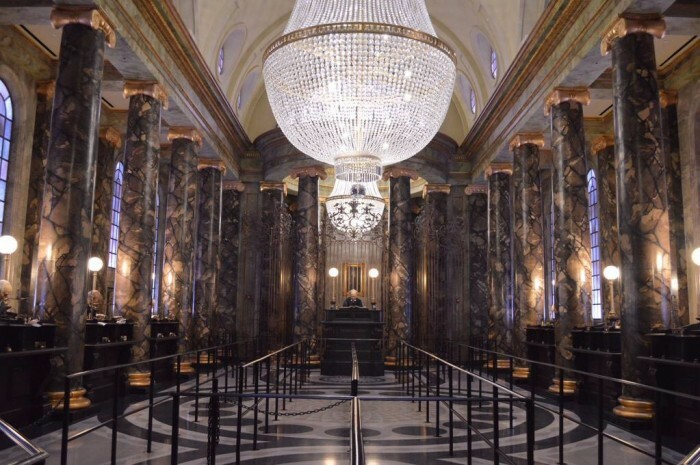 In order to accommodate more than 500 Muggles a day into the land, Universal had to be a little creative in recreating this experience. 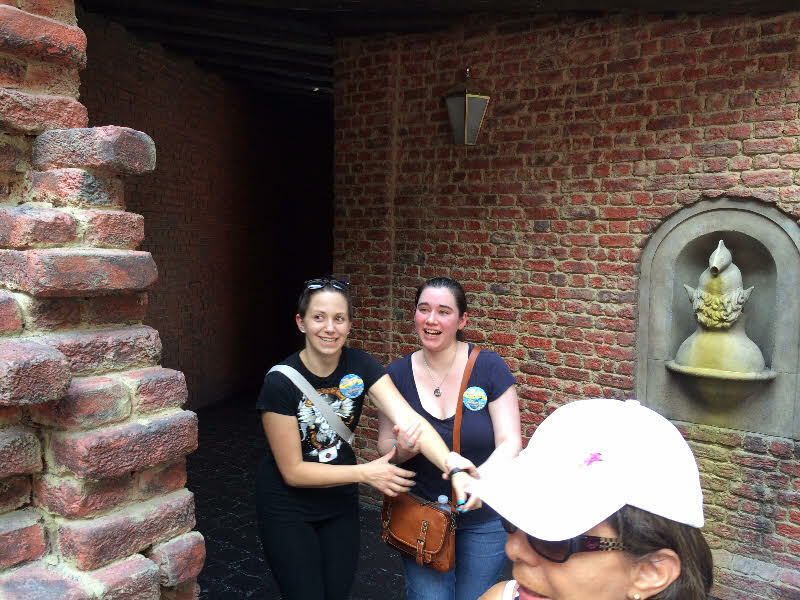 They succeeded by having guests walk through a brick wall which slowly reveals the wonder of Diagon Alley before them. This transition into Diagon Alley is very similar to what Walt Disney World and Disneyland have done to bring guests into some of their lands. Think of walking under the train station in Magic Kingdom to reveal Main Street USA, or under the archway out in California Adventure before the jaw-dropping reveal of Cars Land, or even the bridge and subtle change in landscape between Port Orleans Riverside and French Quarter. 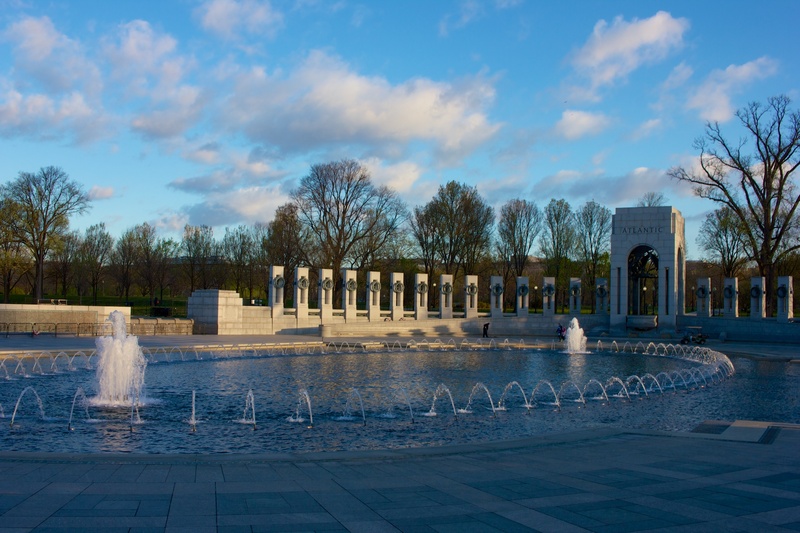 It is an unbelievable experience and one that truly brings guests straight into the story. 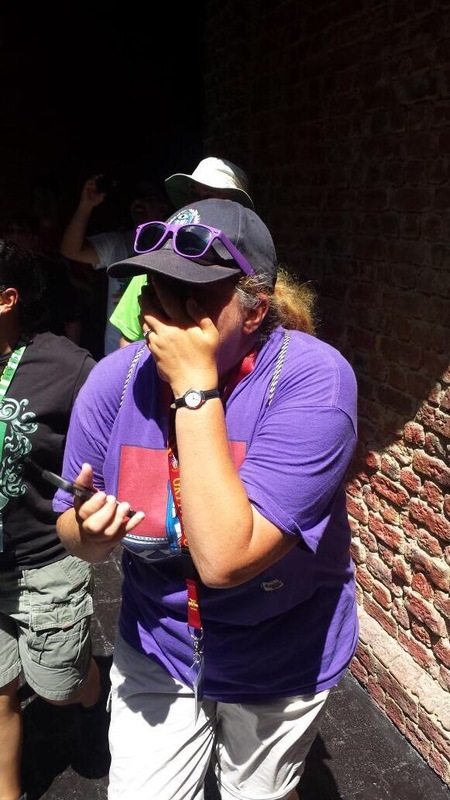 One thing that is fun to do at theme parks is to people watch, and nowhere is that a more heartwarming experience than to stand near the Diagon Alley entrance and see the faces of people coming through the first time. True magic. 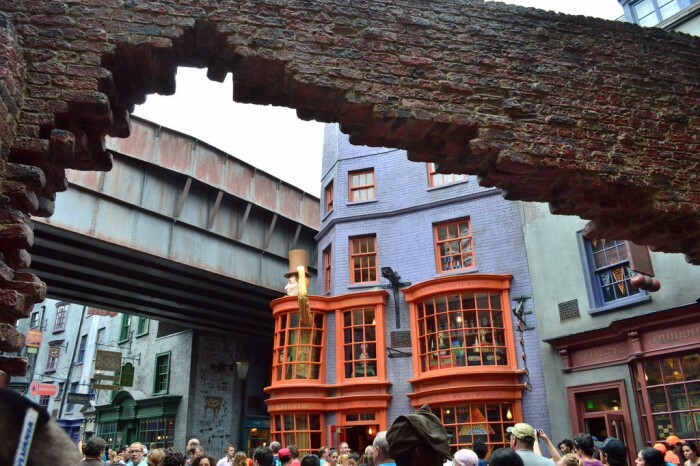 When Three Broomsticks opened with Hogsmeade Village, immediately people wanted The Leaky Cauldron and with Diagon Alley, Universal delivered in a major way. 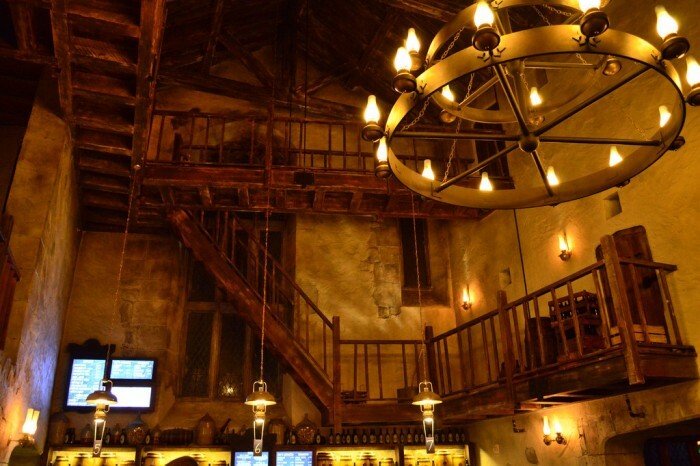 Everything we love about Three Broomsticks was taken up a notch, including an unbelievable menu that includes Bangers and Mash, Toad in the Hole, Fisherman’s Pie and Beef, Lamb & Guinness Stew. 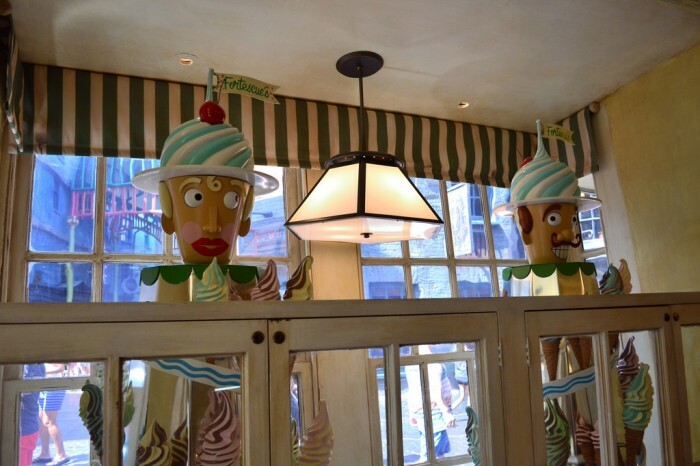 For a theme park counter service restaurant this is as close to a Twilight Zone experience as you can have, and you will have to leave Diagon Alley for your traditional hot dogs, hamburgers, and chicken nuggets. The decor and atmosphere inside Leaky is off-the-charts, and the namesake cauldron is perfect for photo-ops. Much like Harry Potter and the Forbidden Journey, somehow Universal has created an experience where the ride’s facade and indoor queue are as impressive as the E-Ticket attraction themselves, if not more-so. The dragon sitting atop Gringotts Bank has immediately become the most photographed object in the entire Universal Orlando Resort, and the fact that it breathes fire is the cherry on top of the sundae. Walking into the bank’s lobby is akin to stepping onto the set of Harry Potter and the Deathly Hallows Part 2, and you may have to pinch yourself as a reminder that you are not dreaming and that this is all inside an American theme park. The chandeliers are stunning and the room has more audio-animatronics than you will find on the Seven Dwarfs Mine Train. 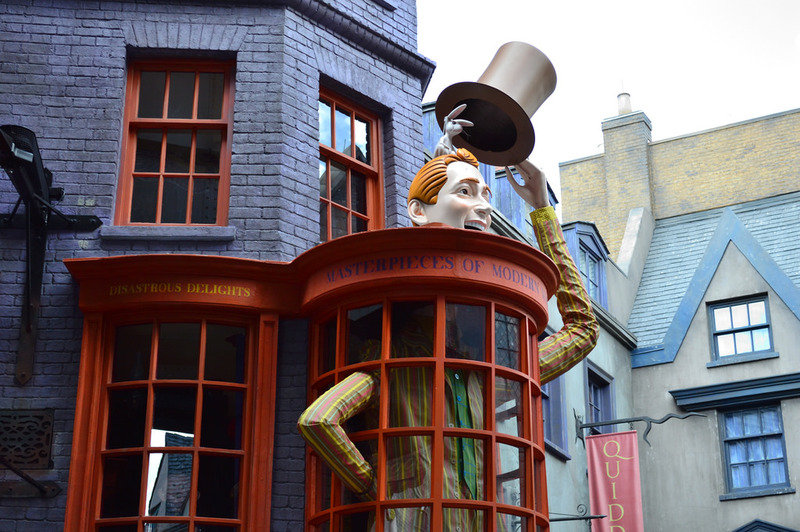 Meanwhile the attraction itself gives us some major names from the Potter Universe, including Voldemort, Bellatrix LeStrange and Bill Weasley along with a thrilling ride. With song titles created by J.K. Rowling herself, Celestina Warbeck and the Banshees belt out wizarding world tunes in a show that has quickly become one of the best live acts in theme park history. 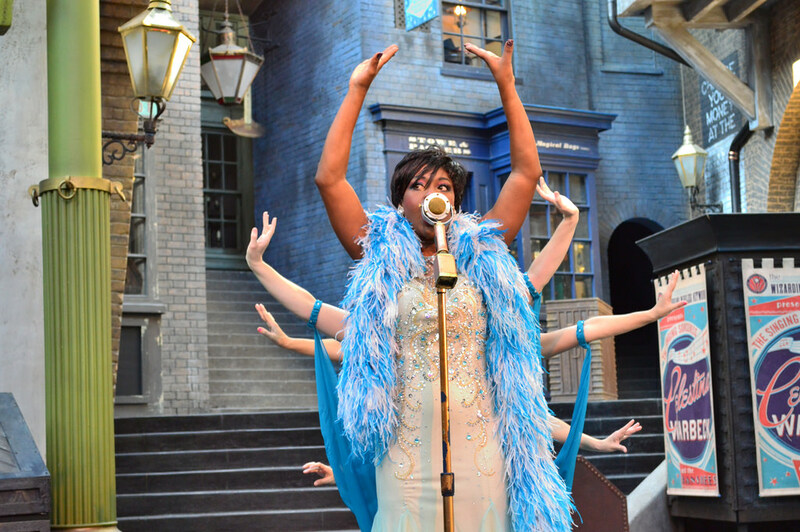 The character of Celestina Warbeck was one that was only mentioned briefly in the Potter books (Rowling has since gone on to write a small historical essay on Celestina for Pottermore) but Universal Creative took that small piece of coal and pressed hard enough to produce a true diamond. The crowd interaction is always a blast to watch, and the catchy songs will have you looking forward to the next performance. 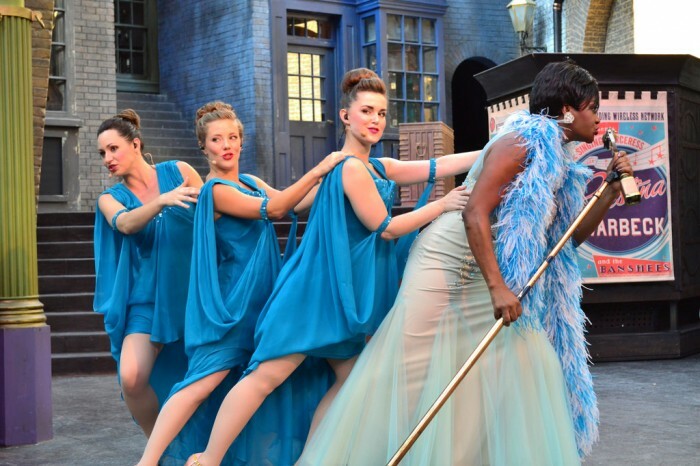 Four women who make many a wizard (and witch’s) heart swoon. Speaking of straight from the movies, Weasleys’ Wizarding Wheezes is the wizard’s joke store we always wanted. You can argue that the only failure from the original Hogsmeade village was Zonkos, a joke store which had some fun bits of theming, but mostly sold generic items. 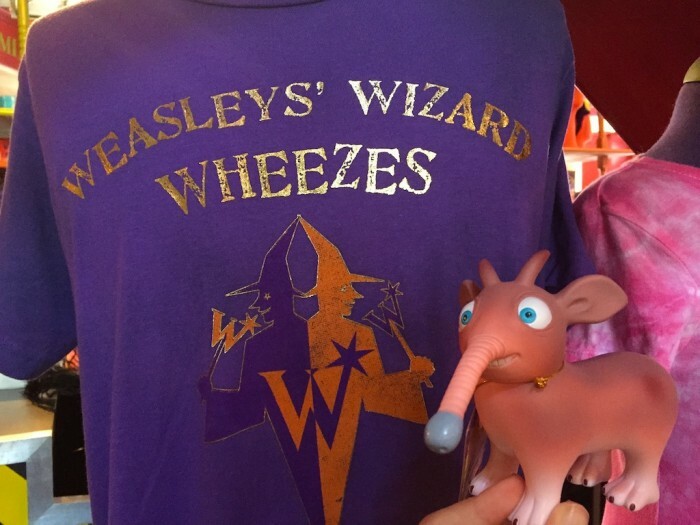 No one shed a tear when that store was removed shortly before Diagon opened as Weasleys’ Wizarding Wheezes not only looks incredible, but also sells merchandise more in line with the quality of Potter items we have become accustomed to. For the theming we have Peruvian Instant Darkness Powder on the second floor and Dolores Umbridge on a unicycle (both seen in Half Blood Prince), and fireworks on the ceiling. Meanwhile you can purchase love potions, Pygmy Puffs, and even a toy version of Dolories Umbridge on the bike! It is very rare for us in the theme park world to have an area to celebrate the bad guys. There’s Gaston’s Tavern in the Magic Kingdom and Villain’s Alley in IOA’s Marvel Superhero Island, but we just lost the Villains in Vogue retail store at DHS (the name has been changed to Reel Vogue, and thankfully sells Frozen merchandise because we had a hard time finding that anywhere else on Disney property.) 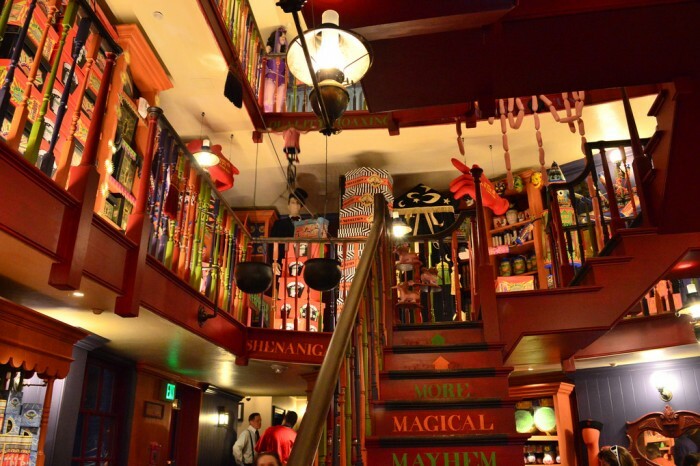 However, not only does Diagon Alley have a section dedicated to the “baddies,” it also happens to be one of the coolest places in the entire land! 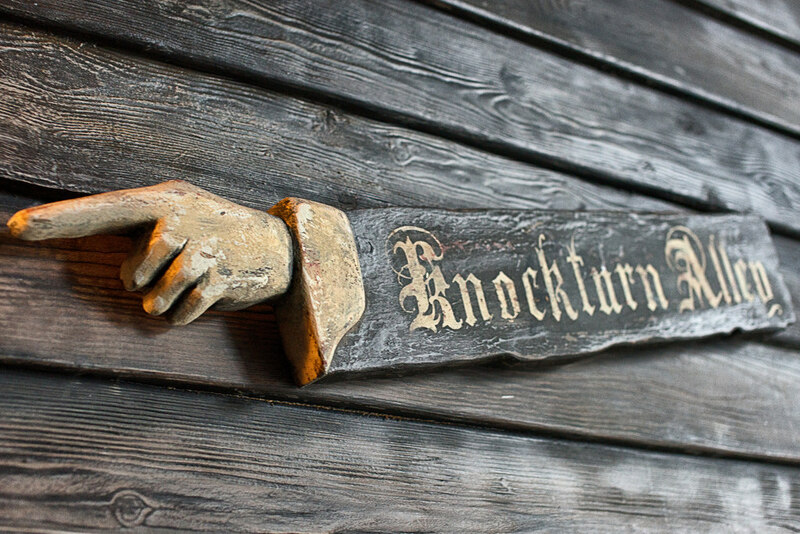 Knockturn Alley brings guests into the darkness regardless of the time of day thanks to being completely enclosed. 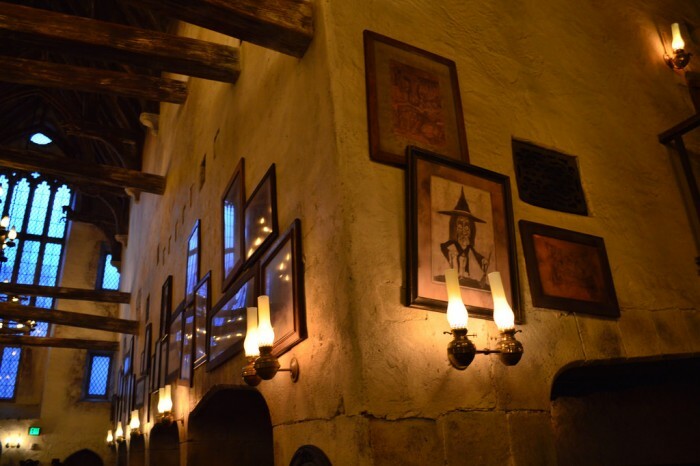 Animated wanted posters of Death Eaters line the cold brick walls and the entire area feels sinister. 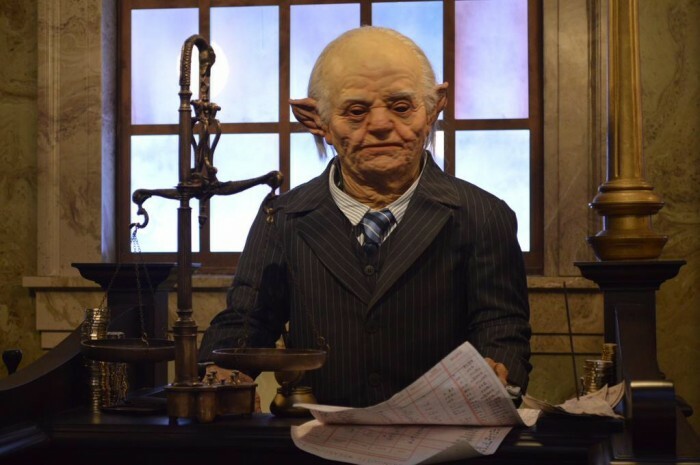 Borgin and Burkes, the area’s gift shop, is hands-down the creepiest retail store ever created for a theme park. 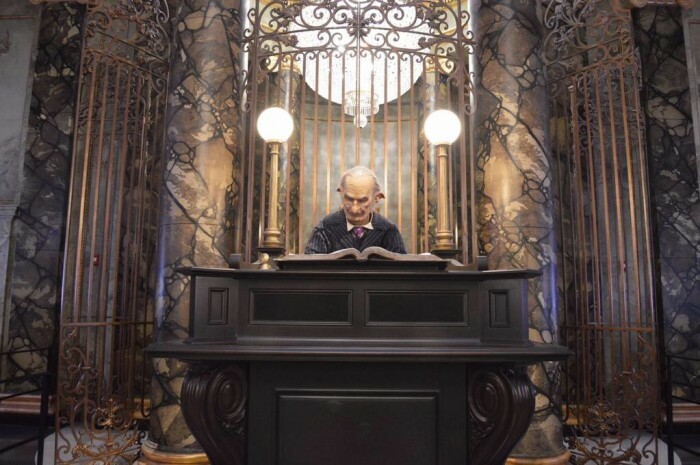 Filled with objects from the Dark Arts (including a vanishing cabinet), this is also your go-to place for merchandise dedicated to the villains of the Harry Potter Universe, how great is that?! While we were all expecting The Leaky Cauldron to be a success from the minute we heard about it, no one knew the surprise hit of Diagon Alley would be its ice cream shop, Florean Fortescues. 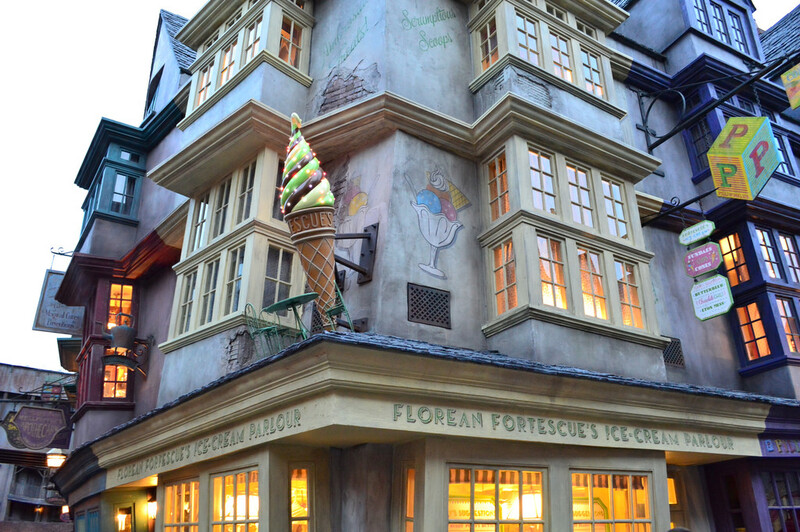 Just as it was impossible to believe people would queue up to 30 minutes for a Butterbeer when Hogsmeade Village opened, who would have guessed people would be lining up 50 deep to get their hands on a scoop of Butterbeer, Apple Crumble, or Strawberry & Peanut-butter ice cream? Here’s the thing….this ice cream is GREAT. 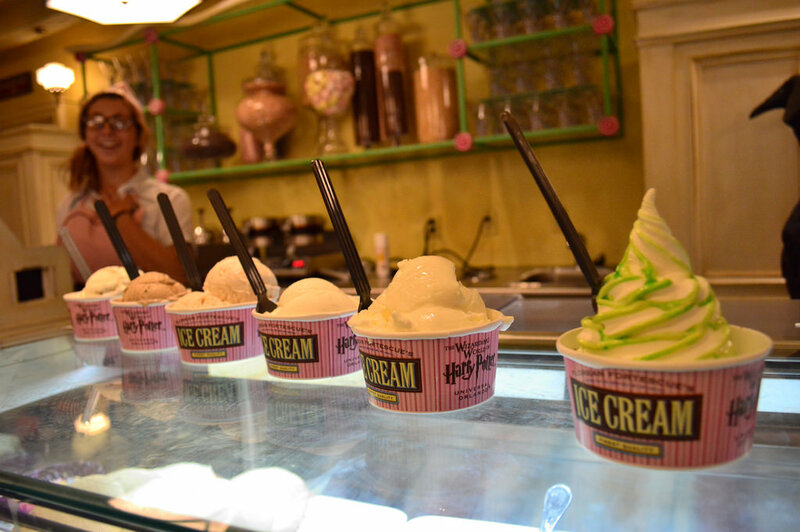 At this point we may sound like a broken record, but Florean’s is the best ice cream shop inside of a theme park. 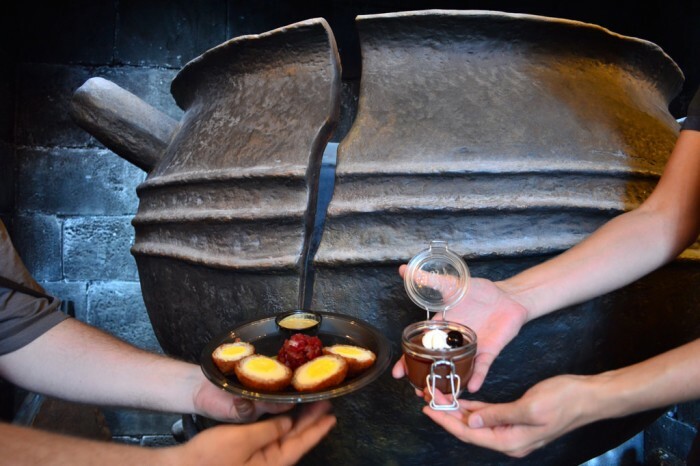 With unique flavors that deliver spectacularly on taste mixed with a backstory straight out of Harry Potter canon, it’s no wonder this store appeals to both Potterheads and people who know nothing about the boy who lived. Animals play a key role in the Harry Potter Universe. Examples include: students bringing them to Hogwarts (such as those used in the Frog Choir or Hermonie’s cat Crookshanks) to an Animagus like Sirius Black and Peter Pettigrew changing themselves into a dog and rat, to forms a Patronus will take (such as Harry Potter’s stag or Luna Lovegood’s hare). One of our favorite characters in the series is Potter’s owl, Hedwig, which Harry purchased at Eeylops Owl Emporium in Diagon Alley. 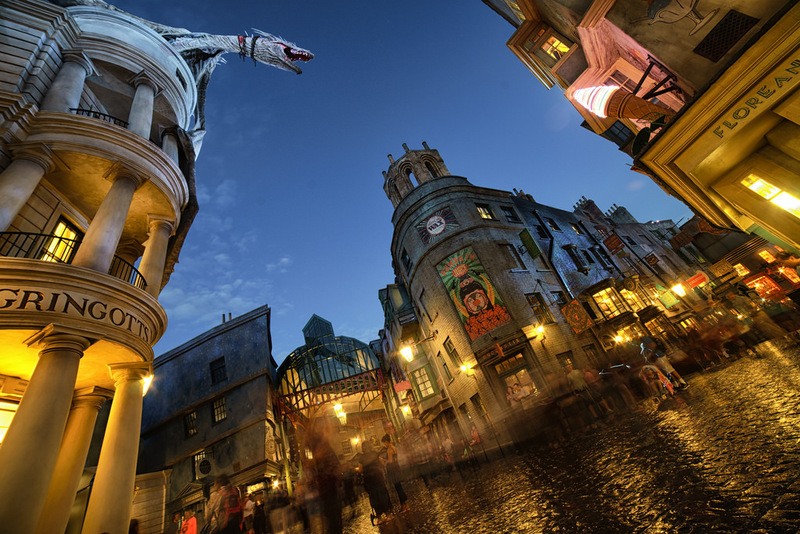 We want to spotlight this part of Universal’s Diagon Alley for two reasons: 1) There’s a good chance Eeylops will be one of the first things removed, as rumors indicate the PhotoConnect store Shutterbuttons will be replacing it and 2) As a friendly wink to our friends over at Parkscope, who for some reason hate this store with the amount of venom most of us could muster only for a character like Delores Umbridge. 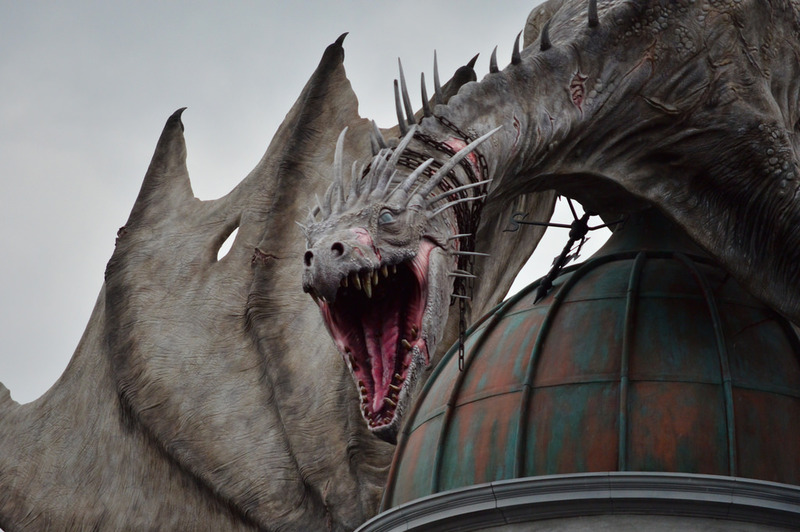 And speaking of Parkscope, did you know we wrote a Wizarding World article for them? That’s right, check out 100% Totally True Theme Park History with Derek Burgan – The Original Plans for WWoHP Phase 2! Special Thanks to crack staff photographer Brandon Glover, Amusement Buzz, photo wunderkind Mike Sperduto, my arch nemesis Brian Carey, and – of course – Blogger to the Stars Megan Stump for their invaluable assistance with this article. Be sure to also check out Brandon on The Park Blogger podcast with co-hosts Aengus Mackenzie and the afore mentioned Brian Carey. I really want to go here. 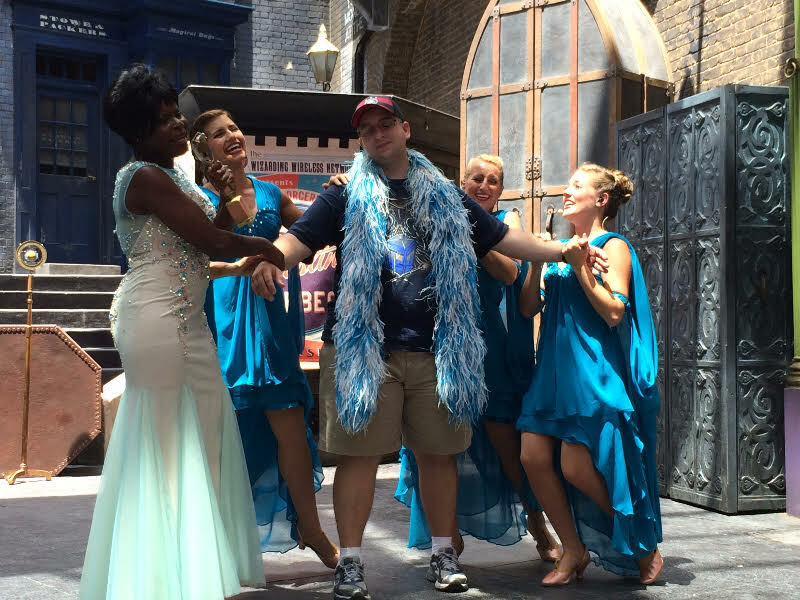 I’ve been to Hogsmeade, but our girls are so young at this point. Once my older daughter gets to maybe eight (she’s six now), we’re definitely going to make the trip. I can’t wait. We are a family of Disney fans, planning to visit Universal for the very first time! 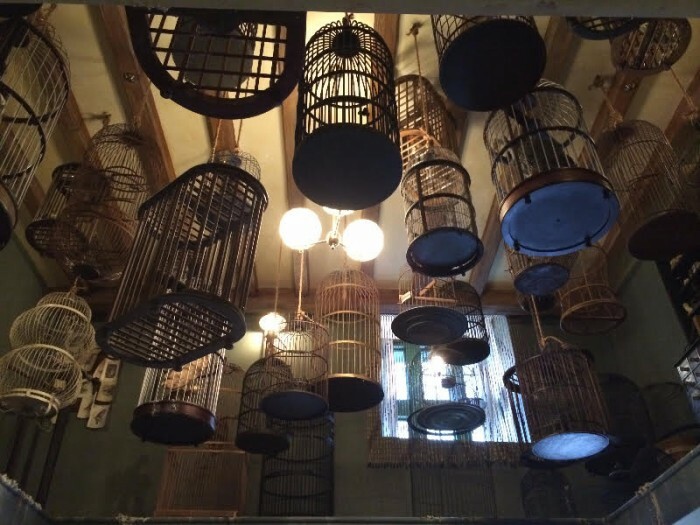 While we will do other things, of course, our primary reason for visiting will be all things Harry Potter! Thanks so much for this article — and I will look forward to more Universal info! Really enjoyed this! Although not strictly speaking in Diagon Alley, I think Kings Cross station could be on the list too. I’m originally from London and the theming is good enough to believe you are really there. The effect to go to Platform 9 & 3/4 is also really cool. It was a tough choice to make, but I wanted to go with things strictly within Diagon Alley, so even the Knight Bus experience was not an option. At the end of article I link to the SATURDAY SIX on the surprises of the Hogwarts Express and I personally would have it as my favorite part of the WWOHP-Diagon Alley expansion. – RIP Villians in Vogue. 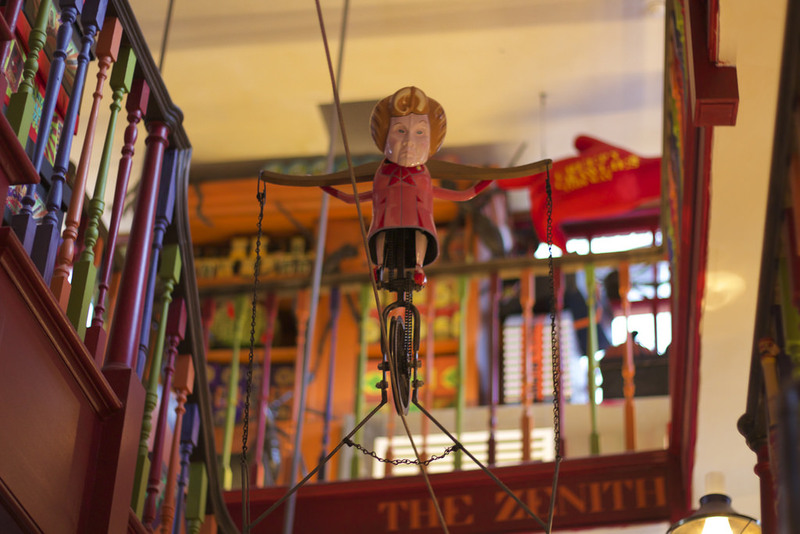 You had character, allure and charm all in one little store. Tried to walk into the new Reel Vogue and there was nothing of interest in there. What a mistake that changeover was. I would love to know the reasoning for that ridiculous change. I agree with you on all counts. Maybe Disney has concrete evidence that their audience doesn’t want unique items and/or theming, but otherwise I don’t understand some of their decisions. Thanks for another great Universal story! We’re going later this year when my daughter turns 11 and will be the right age to get her wand and Hogwarts supplies. At least one of us is going to gasp when we walk through that brick wall, probably me. I was already excited to go, but now even more so. I love the pictures of the first timers. This will be me, too.